Ron Jans has big game experience as he leads his side into yet another final searching for his third trophy in just over twelve months as PEC Zwolle face FC Groningen in the KNVB Beker showdown at De Kuip. Looking to make a profit from the match, Will Burns discusses on what bets show the most value this coming Sunday afternoon in Rotterdam. Zwolle can thank playmaker Jesper Drost for yet another successful season. The team currently sits in seventh in the Europa League playoff positions and the 22-year-old has been involved in more goals during this season’s Eredivisie campaign than any other player in the squad, notching eight goals with seven assists. Attacking midfielder Stef Nijland, whom Jans has employed as a striker for part of the season, is the team’s top scorer on 11 goals. Czech international Tomas Necid is joint second with Drost on eight goals apiece. Just below them in eighth is Sunday’s opposition, Edwin van der Looi’s FC Groningen. The Pride of the North are undefeated in the last six games which has helped sit on the edge of the playoffs themselves, however if they were to lose on Sunday, they would enter in place of Zwolle, who would qualify automatically for the tournament outright. Van der Looi has relied heavily on Tjaronn Chery and Michael de Leeuw for goals this season, with both attackers top the tally charts on 14 each. Zwolle will also have to be aware of the aerial threat of Brazilian centre-back Eric Botteghin, who has headed three goals this term and can be a real hazard at attacking set-pieces. In an ironic twist, Zwolle and Groningen meet next weekend in the penultimate group of the games in the Eredivisie season. 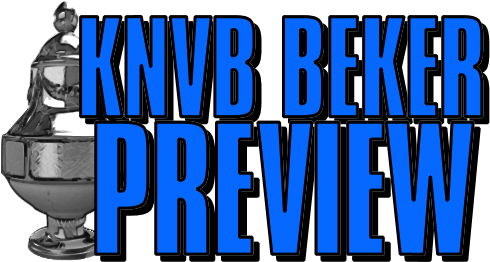 Zwolle just have a knack of coming up big in the big games and after defeating the mighty Ajax 5-1 in last year’s final, Jans’ side will be hopeful of retaining the trophy and at a handsome 31/20 that looks a great bet at Bet Victor. Groningen are just outside that at 17/20 with the draw on 90 minutes valued at 12/5. One thing for sure, looking at the goals markets, this game should see the goalkeepers tested often. Zwolle have only kept one clean sheet in their last 12 matches, with Groningen going one better with two shutouts in the same amount of games. On that note, Both Teams to Score is coming in at a decent 4/6. If your feeling really lucky why not combine Zwolle and BTTS for a massive 19/5. All odds are with Bet Victor and may vary throughout the week leading up to Sunday’s match. Bet Victor offers the best odds for football, click here to join and claim up to £25 in free bets for all new customers. PEC Zwolle played and won two finals in 2014. Also Groningen always performs well in the play offs. Both team are able to focus well on the important games. Last year PEC Zwolle was the unexperienced team in the final. The underdog won 5-1 against Ajax. Now the unexperienced team is Groningen, playing their first final since about twentyfive years. Last weeks, Groningen played better in the competition. They never won a price before, they will never leave Rotterdam without that cup. It’s about fifty-fifty but my money goes absolutely to FC Groningen.